How does a gTLD help my business? New gTLDs have been causing quite a stir over the past few years, with what feels like a new one popping up every other day. Starting as simple three-letter codes similar to the main five (.com, .gov, .edu, .org and .net), they have now expanded to complete words and every new website seems to have one. But are these fancy new gTLDs really beneficial to your website? What sort of impact do they have on your business and your marketing efforts? Before we get into the pros and cons, let’s first take a look at what a gTLD actually is. TLD stands for Top-Level Domain. It refers to the last segment of your domain name – the letters immediately following the final dot in a website address. Originally, each TLD was designed to identify something about the associated website, like its intended purpose, the geographic area it originated from or the type of organisation it belonged to. A geographic TLD is known as a country-code TLD (ccTLD) and has an additional suffix, such as .au, .nz, or .uk), while the rest are typically known as generic top-level domains (gTLDs). In the past five years, gTLDs have expanded well beyond these main five and now include a variety of different letter combinations, such as .xyz and .eco. Your domain can even end in a word, like .website, .tips, .sale, .services and countless others. This is where it can get tricky. Previously, when you created a new website it was only a matter of choosing the right domain and hoping it was available as either a .com, a .net or a .org. Now your options have opened up and it can be overwhelming choosing the right one. Before deciding, there’s a few things you can consider. One of the main benefits of choosing a unique gTLD is that it provides your business with a unique online presence. You’re not just another .com website – you’re bright and interesting, which helps your business stick in customer’s minds. All three of these gTLDs offer something different. ‘Online’ is a common keyword for online shoppers, which means it may give your search engine optimisation a boost, but as it’s a gTLD and not a part of your brand name, it won’t end up being overused throughout your website copy (which Google can penalise you for). ‘Melbourne’ is a location, allowing you to target a community without having to lock into using a ccTLD, while ‘shoes’ makes it clear what your website is about and helps to establish your expertise. A unique gTLD can have a significant impact on SEO. One of the main objectives we hear is that they can be limiting. Maybe you don’t just sell shoes, or maybe your business isn’t exclusively online. While these are valid objections, it all depends on your business’s strategy. Let’s return to the above .melbourne example. One of the main appeals of ccTLDs are their ranking potential in Google. If you’re performing a search in Australia, you’re far more likely to see .com.au websites at the top of the search engine results pages, as Google generally deems these more relevant. While this may be useful for your business, if you’re trying to branch out into global markets with a ccTLD, you may need to buy another, more generic domain as ccTLDs can never be neutral. On the other hand, with a gTLD, you can simply adjust your country targeting with Google’s Webmaster tools. Simply go to site Settings -> Geographic Target. As .melbourne is still considered a gTLD, you’ll be able to switch your target at any time. While it may seem counterintuitive to have a city-based domain for a global business, it ultimately depends on your brand. Are you advertising your team’s location or is your product uniquely Melbournian? Some see an abundance of gTLDS as a way to improve brand protection. You can buy multiple domains and link them all to your website to ensure you’re maximising potential traffic. This is particularly useful for some sole traders, such as photographers, writers and even real estate agents who want to use a business name but also want to leverage their personal name as well. 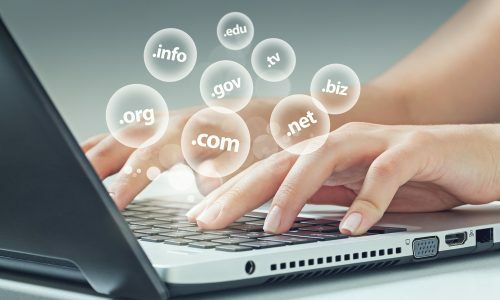 However, others in the United States have advocated against new gTLDs, citing that they are harmful to brand owners, believing they will confuse consumers by spreading internet searches across hundreds or even thousands of new top-level domains. While new gTLDs may initially be confusing, having more domain extensions available provides room for new businesses to jump online. If brandname.com is taken, maybe brandname.online or brandname.shop isn’t – which leads to a higher level of competition and more options for consumers. The internet was new once, too. Remember when we had to add ‘www’ to the start of our website address in order for our browsers to know what to do? While gTLDS may seem risky or confusing to some, they may just be the future of domains. As times go by, we could be looking at another thousand gTLDs, so why not be at the forefront of something new and exciting? If you’re ready to create your domain, search through our vast selection of gTLDs today and if you get stuck, don’t hesitate to get in touch. Our experienced team will be happy to help you come to the right decision.